Whether you’re new to pet ownership or you’ve always gotten your pets in a different way than a pet store, it’s easy to wonder about where all of our adorable puppies come from. And you wouldn’t be the first! That’s actually one of the questions we get the most. And, honestly, we love it! Sharing our unique breeders and what they’ve been doing by continuing to raise the bar when it comes to animal care and husbandry is one of our favorite things to do. It is also one of the things that sets Petland stores a cut above the rest when it comes to pet retail. 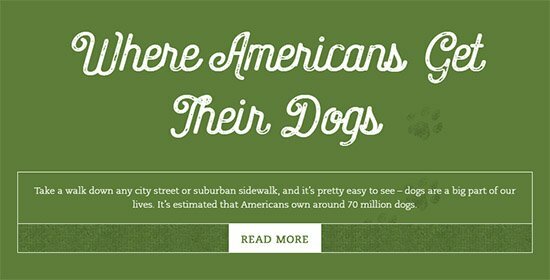 We want people to know where our puppies come from, the caring breeders that raised them and the happy, healthy mom and dad dogs that enjoy the good life back at home. We will never source animals indiscriminately, and that doesn’t just mean our puppies. That goes for our kittens, birds and small animals as well. We believe fully in the complete care of every animal that we place in a home and even before that, when they are being cared for in our location. It is important that our loyal customers know that our first and foremost concern is all the little lives that we have in our care. At Petland, the animals always come first! 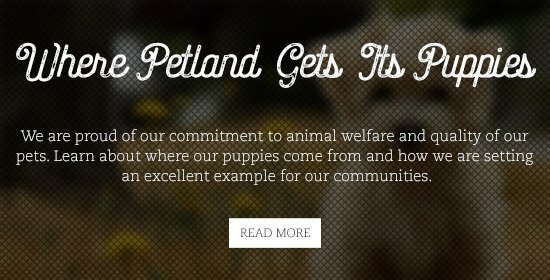 Petland Cares is an interactive website that you can use to really dive into the world of Petland. What we expect of our breeders, their medical records, the care of the adult animals and much more! It goes into how we attend breeder lectures and veterinarian lectures better understand the dog world and everything that’s going on in it. And while each Petland is different, we are all striving for the very same thing, that every animal has a loving, caring start and then goes into a wonderful home!